Southern coast formed by small beaches and quiet coves. 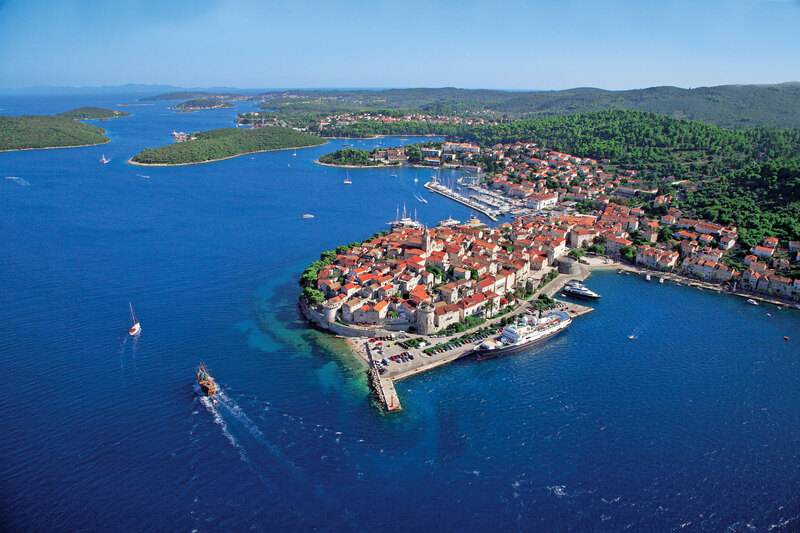 Visitor opportunities of the island of Korcula include various types of accommodation – hotels, apartments, campsites, marina; sports and recreational facilities, especially interesting are water sports; organized excursions and a rich cultural life and entertainment programs. The most important cultural event is the traditional chivalrous game called “Moreška”. 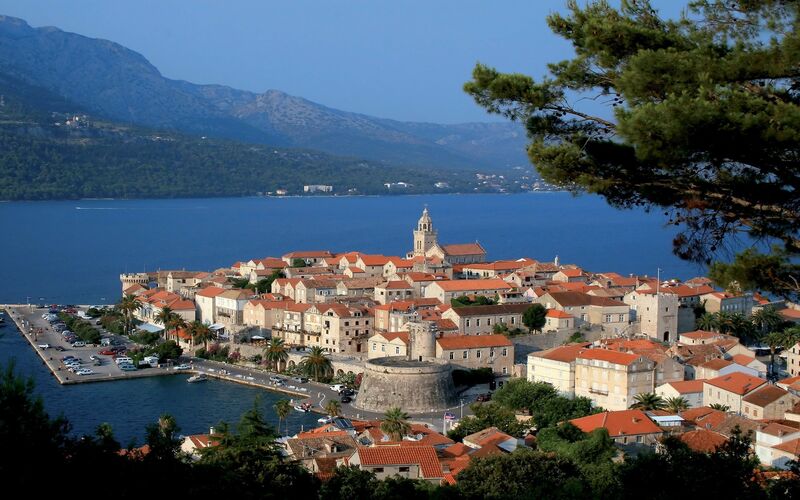 It has been performed in Korcula since the 15th century and is of Spanish origin. 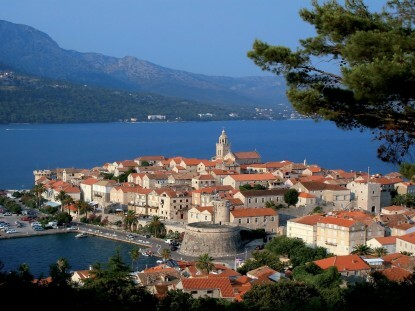 Lumbarda is a village and harbour in the easternmost part of the island of Korcula, between the coves of Przina and Bili Zal, 6 km southeast of the town of Korcula. 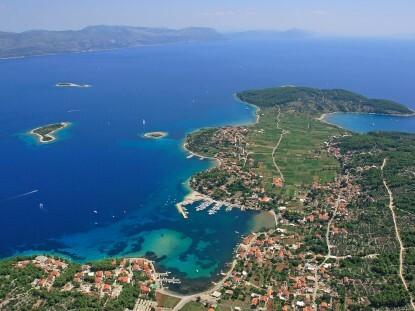 Economy is based on farming, fishing, processing of stone and tourism.A picturesque place in the easternmost part of the island of Korcula, with typical family houses (citadels), nice sand beaches and numerous islets and coves, has a long tradition in adventurous “Robinson-style” tourism. Apart from quality accommodation facilities and sports and recreational opportunities, another major attractive characteristics is the beautiful natural environment of Lumbarda. From its very centre, the way leads through an alley of mulberry-trees to beautiful vineyards on fine reddish sandy soil. Such sand is an ideal type of soil for the cultivation of vines. Lumbarda is the cradle of Grk, a sort of vine which some experts consider the autochthonous Dalmatian. 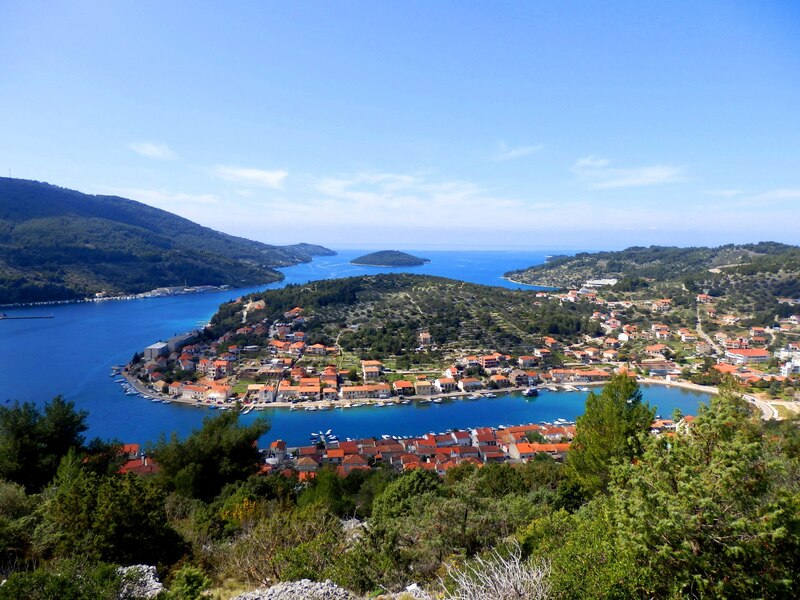 Blato is a town in the interior of the island of Korcula southeast of Vela Luka. It lies on the eastern edge of the Blato field. Economy is based on farming Mediterranean crops. Most of it is under vineyards. 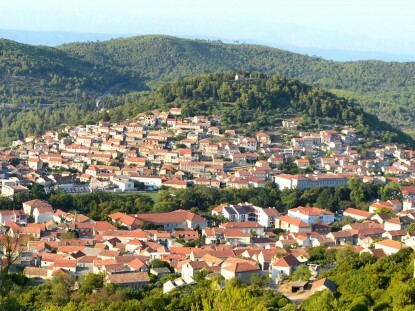 Blato is the econ-omic centre of the island. In front of them is a group of islands with beautiful beaches. 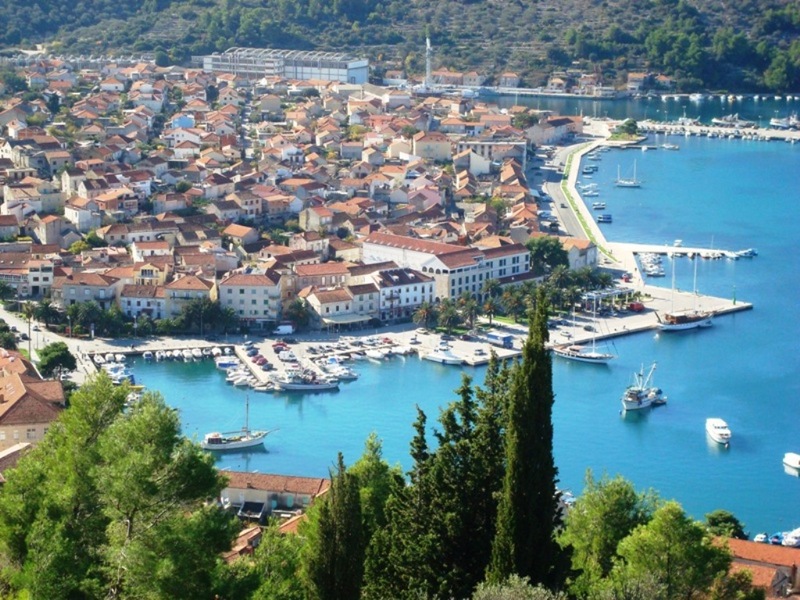 On the northern coast is the Prigradica Cove with a nice harbour. 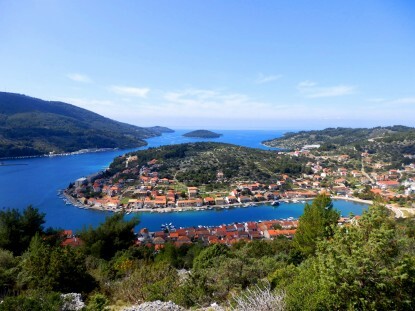 Vela Luka is a town and port on the western side of the island of Korcula, 45 km to the west of the town of Korcula; The major part of the town spreads over the slopes of Spilinski Rat (150 m) and the mildly descending plateau between the Rat and the Humic elevation. 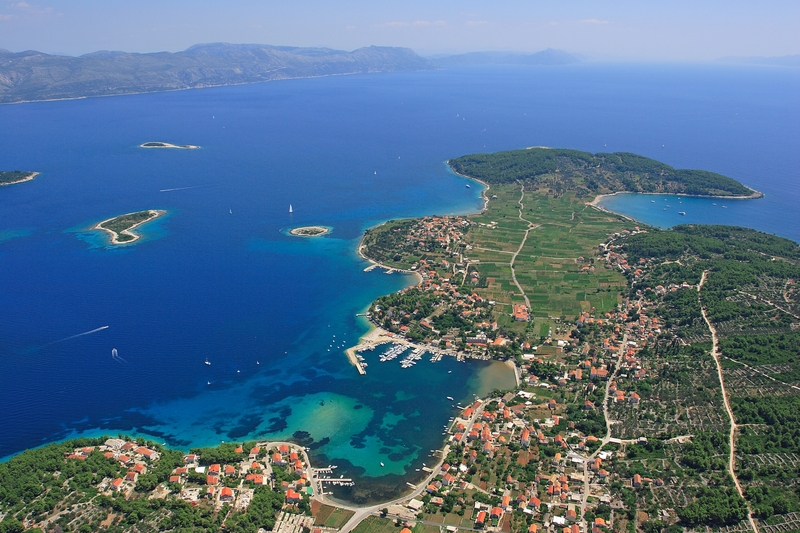 Vela Luka offers its visitors all other advantages of modern tourism, from quality accommodation, over the variety of restaurants offering seafood and quality wines, to sports and recreational facilities (tennis, yachting, surfing, etc.) and entertainment. 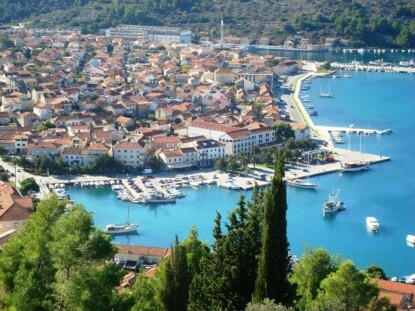 Many find the Croatian folk songs sung by fishermen of Vela Luka in the evening hours the most impressive attraction. 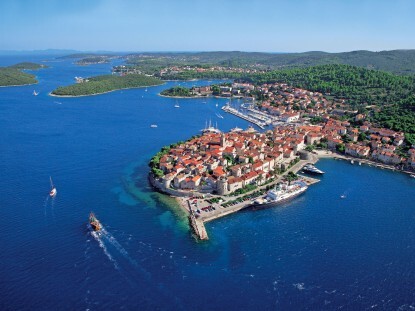 Korcula is a town and port on the north-eastern coast of the island of Korcula, situated on a small peninsula which is connected with the island by a narrow isthmus.